One of the most tumultuous years in U.S. history was 1968 – war, assassinations, riots, the lunar landing program, a bitterly fought presidential election. It also was the year the U.S. Coast Guard, the smallest of the uniformed services, then part of the Department of Transportation (DOT), sought to close a perceived gap between existing Coast Guard capabilities and the technological needs of the service. Now celebrating its 50th anniversary, the Coast Guard Research, Development, Technology and Evaluation (RDT&E) program was created to identify fairly high-use technologies, used by the four Department of Defense (DOD) services or part of the growing commercial technology world, and apply them to Coast Guard requirements. Unlike some of the DOD labs, it was not designed to do basic research. “We were established on 1 November 1968. Four years later, the Research and Development Center [RDC] was established with 160 people, the first time we had our own lab. 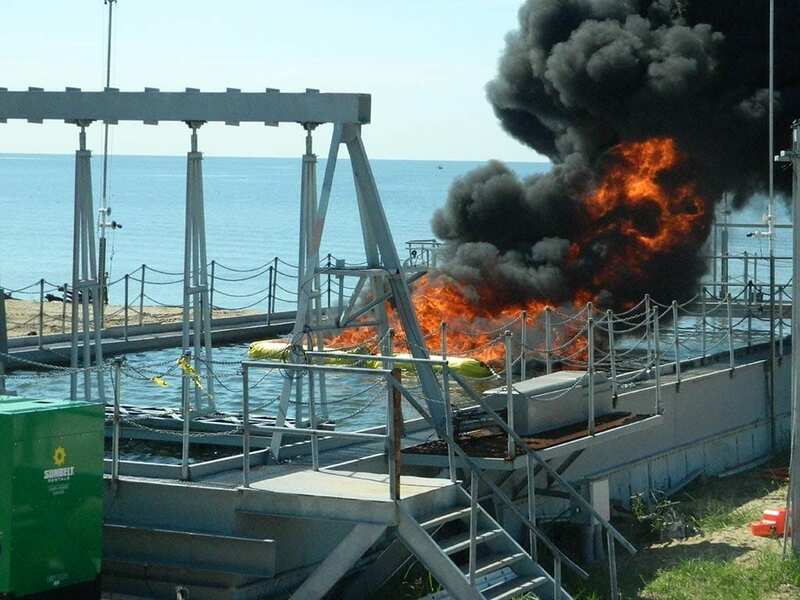 In 1968, we had a fire safety research facility, which today is called the Joint Maritime Test Facility and linked to NRL [Naval Research Lab],” said Wendy Chaves, chief of RDT&E under the Coast Guard Acquisition Directorate. About a decade ago, the Coast Guard was moved from DOT to the new Department of Homeland Security (DHS), where the RDC has formed a close relationship with DHS’ Science and Technology Directorate. Each of those also is broken down into general categories of work. The office also works on some non-R&D efforts. “The program now includes three sets of people – R&D, innovation, and acquisition test and development. As a part of those three functions, there are technical and support elements, the latter including financial, human resources, office management, etc.,” Chaves said. “In 2016, the innovation program was reorganized to fall within the office of RDT&E; prior to that, it was in a separate office that no longer exists. Since that happened, we’ve found a lot to leverage between innovation and R&D.